Beginning November 1 until November 9, Luke 4:18 will be hosting a Halloween Candy Drive! Please send any unwanted or extra Halloween Candy and it will be given to the Catholic Charity Canadian Food for Children and their Candies For Children campaign. Sometimes adults question why we ship candy to the poor and hungry. Sometimes they are concerned that candy will promote tooth decay and obesity. 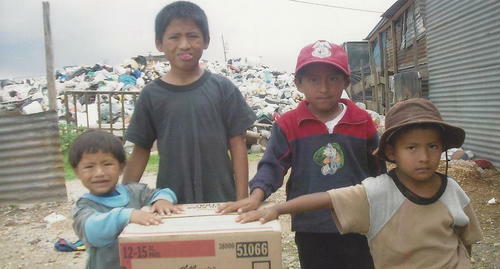 The children we send food to are hungry, many malnourished, some starving. Tooth decay would not be caused by consuming a small handful of candy; tooth decay is caused by the lack of food and vitamins. Obesity is a worry for our children in North America, not for poor and hungry children. The candy we send is a treat, not a dietary staple. Happily, when candy is shipped in early November, it sometimes reaches its destination by Christmas. What a joyful way for our children to celebrate Christ’s birth with their peers around the world.